So this is gong and centurion deal is on purpose. Joe Maddon was inspired by T-Rex’s “Bang a Gong (Get It On)” so he had the instrument installed and even hired someone to bang it. This strikes me (no pun intended) as pathetic. At least John Adams at Progressive Field is an actual fan. The cowbells, while annoying, were a spontaneous celebration. And this? This is a manifestation of Maddon’s pop psychology. He brought in Latin dance band Sol Caribe to keep the clubhouse atmosphere loose. 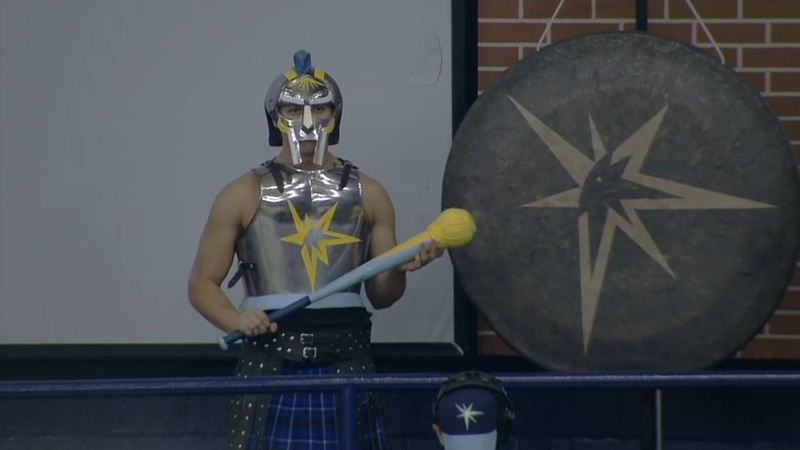 Because playing baseball in St. Petersburg is so pressure-packed. Some people call him a genius; I think he watches too much Dr. Phil. Florida supermarket chain Sweetbay has a promotion called “Meatbay.” Disappointingly (surprisingly?) it’s not a way for Sweetbay shoppers to meet their missed connections. Kevin the butcher promotes various cuts and provides recipes for them. The Rays won by way of Matt Joyce’s two-run infield single in the fourth. 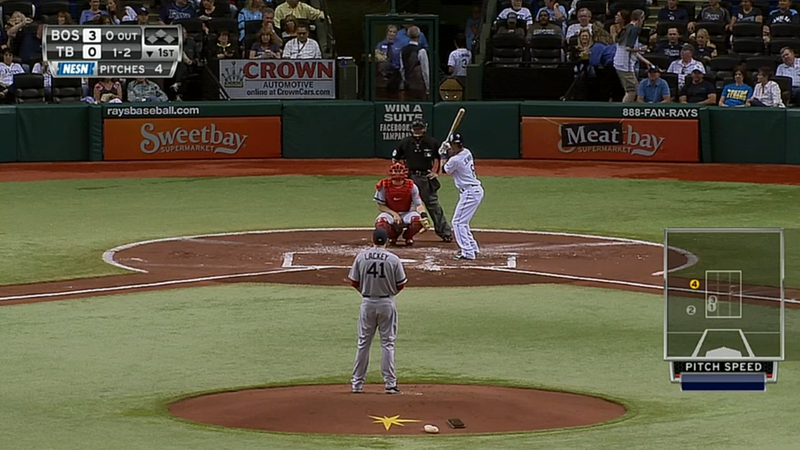 Mike Napoli lost the pop-up in the lights and it dropped between he and Dustin Pedroia. Pedroia let it roll to see if it would go foul but it didn’t. This would have been the most befuddling play of the inning if it weren’t for Jose Molina tagging up to get to third successfully on a fly ball out to center. He even legged out a double to center in the third. Perhaps the Latin dancing made his feet lighter.